What makes a punch combination deadly? What’s the MAGIC SKILL that makes your combination truly effective? Why is it that skilled fighters can be effective even with the most basic punches? First learn how to throw different combinations. Then learn my secret to killer combinations. Everything starts off with the basic punch combination. Use this combo as the basis for all the tips below. The following tips will help open up your mind and give you ideas on how to mix things up. Once you know how to create your own punching combinations, I’ll show you how to make them deadly. Maybe his defense is too good or he slips all your punches. If head punches don’t work, try going to the body. 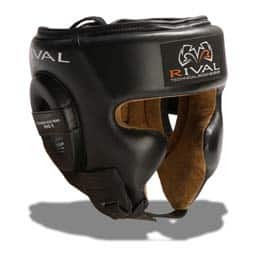 This will cause him to defend up and down and increase the chances of you sneaking some punches through. “Going to the body” can mean a lot of things. Are you aiming for the stomach or the solar plexus? The chest or the ribs? Or the liver? The same rule applies for the head: are you aiming to the face or the side of the head? The forehead or the jaw? Concentrate your attack to one area to make him guard there, then attack elsewhere. Mix it up! Attack the body to expose the head, and vice versa. 1-2-3 to the head, then right cross to the body. You should leave the jab as still your first punch but you can switch everything else out. Try using a left uppercut or left cross instead of the left hook. Try using an right uppercut or overhand right instead of the right cross. Changing the punch will change the angle and make it that much trickier for your opponent to evade your shots. Use different punches to create new attack angles. Rhythm is the easiest and possibly most effective way to change up your combinations. Changing the rhythm allows you to change the way your combinations feel, without actually changing the combination itself. Let’s take a simple combination like the JAB-CROSS-HOOK (1-2-3). Most beginners will throw all hard punches which sounds like BAM-BAM-BAM! A more experienced fighter might speed up the 1-2 to quickly blitz his opponent and then surprise him with the hook. This way it sounds like bibip-BAM! And the left hook can be aimed to the head or body, anywhere you like. The second example can be more effective because you’ve traded power for speed which helps you open up the more skilled opponents. You can apply this same principle to any boxing combination. can help you penetrate the more defensive opponents. Another way to change up the rhythm by becoming trickier is to repeat punches. It’s common for opponents to expect punches coming LEFT-RIGHT-LEFT-RIGHT but if you double up on one side, you can easily screw up his defense rhythm. This tactic is especially effective against boxers that slip or shoulder roll a lot. and become harder to defend. There may be times when you’re more focused on opening up your opponent, rather than landing punches. This can be the case for the more defensive or more skilled opponents. There will be times when you purposely throw punches to make him guard in one place so that somewhere else is left open. In these moments, a feint can be safer to use because you’re creating offensive pressure without actually throwing punches and potentially making yourself vulnerable. A clever feint can make an opponent react in any way that you want, and create the opening you need. A quick wave of the hand or even a half-thrown punch can fool even the quickest opponents. Fake a movement, to create a desired reaction, and then take advantage from your uncompromised position. Feint at the head and throw at the body. (Or vice versa). Feint with one hand but throw with another. Many combos starting with a lead right or lead hook, are more effective when used after a jab feint. Feint with a head movement or foot movement before throwing your combo. Using head movement during your punch combinations is a great idea and one used by many experienced fighters. It’s never safe to leave your head dead center in the middle of combinations unless you’re completely in control and ready to evade incoming punches. Moving the head during a combination not only makes you more elusive but also creates new punching angles and makes it less likely for your opponent to throw back (because you keep moving). can create new angles while making you more elusive. The trick to head movement is to do it subtly. Move it only as much as needed to get into position or evade an oncoming punch. Using footwork while throwing combinations is a very hard concept but definitely possible. If anything, it’s far easier to use footwork in between combinations. The general idea with using footwork while punching is either to A) make you more elusive or B) create new punching angles. Long-range footwork like IN-&-OUT movement is better suited for using footwork before and after combinations. If you’re going to be using footwork while throwing combinations, it is most likely a pivot or stepping out at an angle. “Doing different things” is not the same as “doing things differently”. When I first showed you how to create new combinations, that was showing you how to do different things. Now I’m going to show you how to do the same things differently, such as throwing the same combination but in a different way. it’s HOW you throw it. There are so many beginners watching Youtube and trying to copy their favorite fighter’s combinations without any luck. This is because they lack the QUALITY. Sure you can throw a hard 1-2 but can you throw it like Ali? I can assure you that the difference between Muhammad Ali’s punches and yours is more than just speed and power. Ali has a specific QUALITY to his punches. When I say, “quality”, I’m referring to the punch’s ability to fit the unique situation. It’s not about just speed and power. It’s about being sensitive to the situation and responding accordingly. Fighting is like a conversation, like a dance. You have to see what’s in front of you and then react to it. Every opponent is different. World champions might LOOK like they’re doing the same thing over and over, but I can assure you that they’re making subtle adjustments constantly throughout the fight. And this quality is something you can only develop from years of being in the ring. I would get countered EASILY if I threw punches at my opponent the same way I threw them on the bag. For some opponents, I have to throw jabs a little faster than normal. For other opponents I have to throw jabs with my head a little off to the side. Or for some guys, I aim my jabs at their forehead and other guys I aim my jabs at their chin. I remember discovering one day that if I angled my right cross a certain way, it made it far more likely to sneak through a guard. These details might seem small or plain common sense, but they often make the difference between winning and losing. The point of having different combinations is to be able to threaten your opponent in different ways. This is again where skill and experience really makes all the difference. I can make the same 1-1-2 combination feel like 10 different combos. Whereas a beginner can throw 20 different combinations but they all feel the same. Ok, he’s starting with straight jabs. And now he’s throwing a 1-2. Ok, now he’s throwing jabs and crosses with occasional hooks. Oh look, now he’s throwing a couple left hooks to the body. He’s adding uppercuts and trying to be tricky but everything still FEELS the same. OOOOH, now he’s trying really hard. But his combos are too predictable… All LEFT-RIGHT-LEFT-RIGHT. All same rhythm and comes from the same angles. He’s testing me with jabs. Some to the head, some to the body. Now he’s standing in a slightly different position. I feel like he’s going to do something weird and then–*DAMMIT*–he hits me with the same combination again. It’s more than just throwing different punches at different angles and different rhythms. The goal is to make your opponent vulnerable. You have to become sensitive enough to find new ways to move against him (sometimes on the spot). Sometimes you have to abandon everything you practiced because it doesn’t work! Sparring should increase your sensitivity. A real fight is far more complicated than what I could ever explain. I’m always doing things differently. I might be throwing jabs over and over again, BUT IT’S NOT THE SAME JAB. My aim might be different. My head placement might be different. My hand and foot position might be different. One jab might be for setting up the right hand. Another jab might be setting up the left hook. Or maybe the breath is different. Or maybe the way I position my chest is different. I often hear beginners asking me, “But Johnny if I keep throwing jabs, wouldn’t that make me predictable?” And it makes me laugh because I know it means he’s throwing the same jab every time. With that attitude, it doesn’t matter what he does. He could throw different punches and he would STILL be predictable because they would all feel the same. I remember getting beat by a guy with a killer left hook. He would chase me down with head punches and then out of nowhere, a big left hook to the body. Over and over again. And do you want to know why I couldn’t defend it? BECAUSE IT DIDN’T FEEL LIKE A LEFT HOOK! His incredible skill wasn’t in his punching technique but rather his ability to MASK his left hook to the body. It always felt like something else, anything but a left hook. How can you defend something when you don’t feel it? because he’s able to give it a different quality. Skilled fighters have a way of being very unpredictable. The way they stand or position themselves makes you expect a certain punch but then something else comes. Or the way they hold their hands makes you feel very vulnerable to their hook. Or the way they throw their right hand makes you feel like you’ll never be able to counter them in time. Some guys have a way of coming in on you where you feel like they’re in range but then you throw and you’re not even close. Some guys have a way of making you miss not because they slipped so well but because they knew how to make you throw at the wrong place. It doesn’t matter if you do the same thing over and over, as long as you’re still being unpredictable. Skilled boxers can make me FEEL like I can’t fight back. They know how to move their bodies in ways that cause me to make mistakes. Against skilled fighters, I feel like their hands, their heads, their feet, their bodies are all constantly moving around pressuring me from different angles as they throw the same punches over and over. If all your combinations feel the same to your opponent, he’ll be able to defend them easily without ever having to adjust to you. it’s about what your opponent feels. This is one of your better articles Johnny. Good work. Can anyone please suggest me a very good site like this for muay thai too. I’m afraid there aren’t any good sites (that I know of) as of right now. I’ve searched before several times in the past, but nothing as promising as this site in comparison. There are a lot of good videos and instructionals; some are good, some not so good. I find that the more dependable sources online of learning thai boxing is learning concepts from fighters out of thailand. The fighters out of there eat, sleep, bleed, and breath thai boxing as a way of life. They develop every inch of their disciplines withing thai boxing. I’ve found some really rare stuff before from the legends of the sport, but there’s not a lot out there. It’s hard to find a site like this. It takes a well-developed analytical mind to pull off such detailed breakdown of not just techniques, but concepts that connect everything into something artistic. Not to mention, this is done for free (a privilege that’s rare to have). Johnny does a good job of adding every inch of depth into breaking down fundamentals into their core. I would imagine that it takes Johnny a good good amount of time to develop these things. I do the same works myself but just for my own personal development in my fighting journal. Muay thai nation is a pretty good site…. Its run by sean fagan, a muay thai fighter who i think is fighting currently but im not sure, and he gives some pretty good insight on dieting, technique, and workouts, check it out. Sorry about the double post Johnny! I pressed the wrong Reply button! 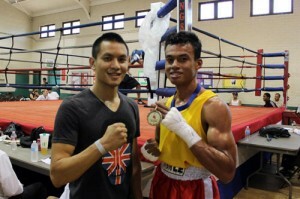 Hey Rathi, you can check out my website http://www.muaythaimovement.com. While my site doesn’t have as many in depth articles as Expertboxing.com I do provide detailed instructional videos for various techniques. I’m an extrmemly busy guy with limited time, but like Sean Fagan and Johnny, I made my site purely out of the love of the sport. Check it out, see you around! Beautiful site, Anthony! Keep sharing your passion. 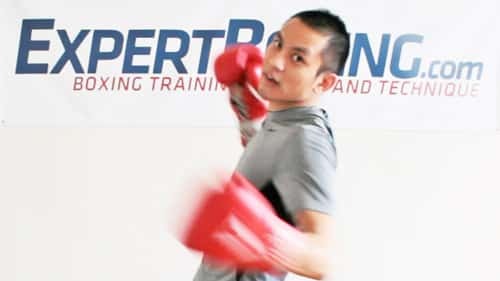 just take the boxing combo and add a rear whip kick to the end of the boxing combo… or start it with an lead leg kick and then combo, you can also work a knee or elbow into the combo when you are close… and all this information here can help you for muay thai too. Ben, the gloves I use are the Title Classic Lace-up Leather Training Gloves. I don’t use them anymore for training because they’re used up. But they’re great for video demos because of the bright red color. 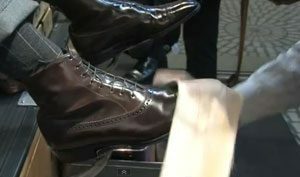 They look great for 8-year old boxing gloves. Thanks, Brian. Keep sharing your knowledge and spreading the love of our sport! Thanks for another great article, Johnny! As mentioned, THIS is the best site for boxing, Muay Thai, and any other fighting art that allows full contact punches to the face. One of the guys I spar with competes as a pro in MMA, and I’ve been teaching him techniques I’ve learned from this site, such as switching up the rhythm and power, splitting his guard and tactical swarming. Thank you for all you do, Johnny. You are Bruce Lee reborn to practice and teach The Art of the Fist. You have a rooster right here and at your service. First of all, thanks for keeping this site free. I hope there could be a section wherein you’d write reviews for famous and latest boxing bouts. Would surely love to know your expert opinion. Just a suggestion though. Great idea, Jeffrey. I used to do something like that 5 years ago on a completely different domain but the results were so different from what I imagined. Like you, I envisioned a nice column for making fight predictions and fight reviews. But it turned out to be a troll forum where raging fans would attack one another and even me. Even the most calm and mature person becomes a biased arguer when you disagree with them. Case in point: (look at my articles against weight lifting). I shared my respectful opinion and in return got called an “idiot” so many times–EVEN WHEN MY PREDICTIONS TURNED OUT RIGHT. Imagine what I was called when I got the prediction wrong. 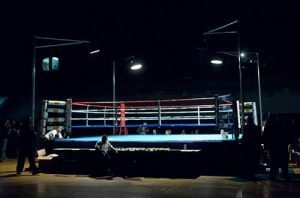 At the end of the day, I can’t expect people to see boxing the way I do especially when many of them have never spent their own years in boxing and have never even met pros up in person. People only like reading what they already agree with. Show them anything else and many become angry trolls and get way off topic bringing on a bunch of irrelevant stats or hearsay knowledge or assumptions, etc. I still do the reviews…but only on Facebook and not publicly on EB. Hey johhny, great article as usual. would you say that you could use the different axis’s as a way to mix up your punches? lets say like a cross from the forward axis and then from the rear and then from the middle? giving 3 different ways to throw it? Wow, excellent information and tips, especially with the feints. It takes a lot of time. One and a half months is nothing. The first thing you need to do is throw with less power on the heavy bag until you are comfortable. There is no sense in purposely injuring yourself. Second, you need to spend far more time working technique in shadowboxing and on the mitts. If it takes you another 6 months, then so be it. I have some videos out on Youtube you can check out. You can’t take boxing technique for granted. The reality is that it’s much harder than it looks to throw a really proper punch. Some guys look like they’re doing it right but they’re still not hitting with very much power either. It takes time, especially if you’re a beginner. What’s the upside to leading with the jab? I’m told to do it so I do it usually but just wondering why. Read my article called, “How to Throw a Jab”. It will explain everything to you. I know how you feel. So many details and things you never thought of. And so many things that can never be explained. Keep pushing. Hey there Johnny, do you ever plan to make an article on “The Dempsey Roll” ?. Not anytime soon. It’s nothing special but a series of head movement. It would still be nice to see what you come up about it if you did decide to make some article. I’m actually a little confused about what a true “dempsey roll” looks like. I keep finding different results when trying to look up what it looks like. on a side note, I’m assuming you probably study or watch boxing videos. I’m not sure if you’ve heard of this site, but I thought this was a nice resource to help studying youtube clips. It allows you to watch youtube in slow motion in a speed you can choose. you just cut and paste the youtube link into their site. It’s really easy. Thanks for the link. I’ve never heard of it before and I can see how it would be very helpful! I’m glad you brought that up! that reminded me of something cool i wanted to share. you should really check out Nonito Donaire’s “dempsey roll” on youtube. It’s amazing. It’s a great example of the “dempsey roll” if that’s what the move really is. I would really be interested if Johnny broke down the footwork and explained it more in depth. I understand it (explained little bit below below), but I would love to see Johnny’s perspective on it and to learn more about it. (youtube of the strategy) He looks like a sniper the way he strikes! What I can see from this strategy in the video is that Nonito uses deceptive footwork that allows him to quickly move into the pocket for a very brief moment to unload that one shot while exiting the pocket as his footwork ends. It’s like a drive by where you drive by, hit them, drive away from harms way, then repeat the process. What I love most is that the combination of footwork allows him to quickly initiate a strike from OUTSIDE the pocket, and since punches are expected to come from inside the pocket, people usually have their guard down and are hit by it. the deceptive footwork even seems to mess up opponents defensive rhythm the way he moves at unpredictable angles and abruptly shifting to another position. I have to admit, this is by far one of the most difficult things I’ve tried to analyze and learn myself (I won’t go into the boring details of how I figured it out). I first was introduce to this from watching eddie alverez (mma fighter) who was using only a certain aspects of this strategy in the video I linked. It really intrigued me how a fighter can pull of such an unique strategy. It took me so long to study and break down the movements but I’ve recently grasped an understanding of it and finally learned how to use the specific footworking strategy to pull the maneuvers. I have to say, it really works well. I’m chillin outside of the pocket and then bam! out of nowhere i land a shot. I was surprised at the results. My main problem with the strategy is that I haven’t learned to chain multiple footworking strikes like nonito. I have not tested it yet, but I want to see if this can be utilized well against opponents with greater range as a way to close distance or use it as footwork to get closer and chain into combos. Ok first off…this move has more to do with flash than substance. It requires a combination of both head movement and footwork. And I say it’s flash because it has unnecessary movement. If you have good head movement, you won’t need the footwork…and most pro fighters would not do this. The reason is because it’s harder to win with unnecessary movement. Think of it this way….imagine Roy Jones throwing a leaping punch from 5 feet away instead of from 2 feet away. It looks flashy because he’s working so much harder and he’s able to do it. Many of the slick fighters will usually cut to one side, and then cut back with a counter as they change directions. They don’t keep repeating this because of the danger of doing more work while exchanging punches up close. As I’ve said before, this move is more about showing off than actually being useful. And for that reason, you didn’t see Donaire attempting it at all when he was getting outboxed by Rigondeaux. Evan If i may….I’ve been steadily training for a year and a half now. One thing i’ve learned is that the jab is the bread and butter of boxing. Work it, and everything else will follow. That article Johnny wrote on the jab is the best I’ve come across. Thanks! I agree, that article helped. Great article! I’ve been using footwork since I started and what I think could be useful for you to teach here is the “Ali shuffle”, it helps me a LOT when I’m in a tight spot! The Ali shuffle is to show off. It’s not to move the body or help avoid the shot in anyway. If you’re talking about the “boxer’s shuffle” which is a very useful way of moving around the ring, I’ve released a Youtube video on that. advanced article here. i havent seen the articles in between, i like this. as it’s supposed to be, it’s attempting to put practical ring advice into words. it’s a LOT of advice i think those who already know it will understand it. and those who don’t the ones who need to, might get confused. 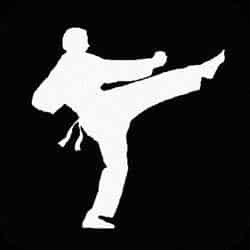 feints, angles, going up and down, doubling the same hand or the same punch, distance, countering or leading, footwork. moving the head, changing stance. you got it all. 2 things id add is the placement of the shots and moving forward or backward with them. right at the gloves or between the guard or around it. adjusting according to the opponent. throwing the 1 as a spear jab from below so it pops the head up and then throwing the 2.
then there’s popping the jab into their backhand and pushing the arm down to keep it busy, then throwing the short straight right hand over their jab or hook. then throwing your left hand which is on top of their right, or turning them as you fire the right again up or down. and maybe they adjust and have their guard up better, looking to counter. and you can nail them with the looping right hand. or something much more simple like stiff jabs to the chest and a right hand they can slip a few times, then throwing the jab shorter (almost feint like) and letting them try and slip the 2 they know is coming and bam! leading them into the right hand as they . usually throwing the jab, moving in and throwing the right is the common method. changing it up by stepping back then darting forward with the 1-2 would change it up. or throwing the 1, then moving back a bit before throwing the 2 so the opponent gets some forward momentum and you can land the harder shot. whats your opinion on throwing the 1-3-2-1 or 1-3b-6-1 type combos johny ? doubling with the lead hand while closing in ?is it something that needs exceptional handspeed ? can it be done while turning a bit to the right rather than the left ? as a variation ? what are your tips or tricks on throwing a counter left jab rather than the setup or lead jab ? specially against the jab specialist who’s got 5-6 inches of range, knows how to read feints and mixes in his, pivots well and can turn the jab into a hook or uppercut as one closes in ? very irritating. he’s bad inside, but a nightmare outside, kind of like a thomas hearns but thank God less power. Those double left hand combos work beautifully. You don’t need exceptional handspeed, you just need to know how the rhythm works. Many people lose their rhythm when throwing double lefts and double rights and so it becomes awkward and doesn’t flow or doesn’t feel natural for them. Turning to the right or to the left is not my focus, it’s about the flow and way it feels. Throwing a counter left jab is natural for me. You can use the jab to counter just about every punch. Whether or not that counter jab lands, you can quickly segue that into a counter 1-2 combination, and follow with other punches. If you’re facing a skilled fighter, then you have to be a skilled fighter yourself. It’s very hard to explain how to beat a skilled fighter over the internet. I have to see and feel how he moves and then give you a rhythm or idea of how I would “swim” through his punches. I have to see exactly how he punches, what angles he plays with, and what movements he makes. I need specifics. And with that, THEN I can talk about what I would do specifically for this guy. Another great article. What you have written here (esp. the difference between a beginner and a skilled opponent) is so true and couldn’t relate more to my last sparring session against a lighter but more skilled opponent. When I am the more skilled fighter I feel no pressure and feel confident but my last spar I was completely unable to read my opponent. What I wanna know is how do you tip the balance and neutralise such a spontaneous puncher (aggression didn’t work last time because I’m naturally slower and just got clocked with big swinging overhands and hooks)? I need to work on my defence and countering but I find it hard to make the other fighter adjust his style, rather than me be forced into defence all the time. I hope you understand what I’m getting at! You need more time. It’s hard to give you any tips to beat the better guy because the tips won’t make you a better fighter. With that said, you need to learn how to be faster and powerful while being more relaxed at the same time. You need to work the mitts more to develop faster reflexes and you need more time sparring with different guys to help grow your mind. what you’ve said has echoed exactly what my coach has said. Anyway after 6 months, I have my first fight on the 31st, and my 2nd potentially on the 5th! I see you’ve posted an Intermediate fighter article so I will dig into that! I’ll take on board what you’ve said. thank u johnny i respect u.. your articles have helped me a lot and i try to use them in my gym and while sparring and the results are welcoming.. Awesome article again, as per usual. I’ve been practicing the basic 1-2-3-2 combo mostly on the heavy bag but also a bit while shadowboxing and on mitts. However, I’m having real difficulty getting the flow into it. The biggest problem I’m having is with the left hook, I can’t seem to get it into the combo. It always feels like it’s a 1-2 combo and then a 3-2 after it since I need to pause in between, or otherwise the whole combination falls apart. It feels like I can’t put any power into the right hand before the left hook, or else it’s too slow. Any tips or ideas? Thanks a lot in advance! Keep your body at center and don’t throw yourself forward past the front leg during the right cross. Check out my guide on 2-legged punching. Yes, the combos should work in any fight. You can make some up yourself by following the guide. thanks buddy… What about knuckle conditioning? I don’t think it’s necessary but for the people who do, they recommend doing knuckle push-ups. but i am a hard worker ,& fast learner. Get in the gym and start training. Being a hard worker and fast learner only helps if you’re actually doing it. Start with basic boxing technique and go from there. I hope your situation improves. Just started boxing 3 months ago at a local gym (Montreal, Canada). When hitting pads, my trainer often asks me to throw my combinations faster. At the moment, I’m having a hard time doing so without sacrificing the defensive element, that is, when I try to throw combinations faster, my non-punching hand positioning starts to deteriorate. In other terms: do you have tips/exercises on how to gain speed ? Apologies if you already covered this elsewhere. P.S. : great website ! You’re a great teacher ! Yes, I do have this information elsewhere. 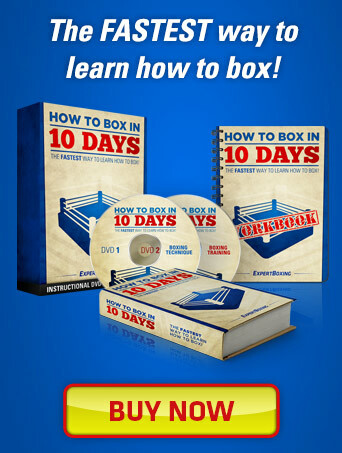 Please check out my other guides and also my boxing videos. Thanks, man. A lot of quality information. Boxing written from an informed perspective. Thank you for your diligence. I was wondering if you could do videos (instructional write ups) about the flaws in technique (ala the defensive gap in Pacs cross vs. JMM, shoulder roll vs. southpaw, etc) or lethal combos thrown by the pros (the “iron cross”, Pacs’ 1-1-2, etc). Amazing site. Please keep up the good work. I can discuss technique but I would never use the word, “flaw”. Pros know what they’re doing. They take calculated risks, taking chances and gambles in hopes of scoring great counters. Sometimes they win and sometimes they lose. You can’t call somebody’s technique “flawed” because it didn’t pay off 100% of the time for him. Great information! Thanks for laying it out clean and clear. Very helpful! I think attacking the opponents defensive glove (by quickly sliding to their defensive side) and punching their defensive glove down w/ jabs to their face, is effective. Manny is great at getting over his opponents shoulder by using his speed to slide over their shoulder, and pounding their glove and face in without being hit by the opponents striking glove because of the angles he creates. Could you please do a demo of this? What do you think about the kickboxing technique of hitting the opponents glove (ie defensive glove) into their face? Could you also do a slow-motion analysis of a Mayweather vs Marquez fight, first minute of round 1 when Floyd did a running HAYMAKER PUNCH. On defensive, can you explain how constant head movement from side to side and front to back improves the response to a hit based on the physics “things in motion stay in motion,” and if still they stay still due to inertia. Hitting an opponent’s glove to momentarily distract or blind him is already being done in boxing. I wouldn’t be able to talk so much about the effects of head movement on decreasing the impact but I imagine it’s not hard to visualize. As for the specific numbers and physics behind it, I wouldn’t know those calculations as I’ve never measured it in a scientific lab with precise tools or anything. Well…get in there and just throw it and see what you get. This article is great and fundamentally correct . when throwing hooks: hit the jaw not the cheekbones, hit the spot below the ear on the neck and or behind the ear on the head (all these can mean a KO). for jab and cross or straight: either hit the solar plexus, the point of the chin, or the eyes . leave the nose and cheeks and forehead alone, most fighters don’t get hurt there. I think the author is just giving some examples for you to use and create more on your own. These are great articles. As a former boxer and trainer, it’s not easy to write out boxing combinations (due to the defense, head movement, footwork, etc.). But they do as good a job as any. Watch Mayweather Jr & Roger work the mitts and try to write down how he does it. It’s literally impossible. So good job!! 1-2-RtSlip-LtSlip-1-2-RtSlip-2-3-LtSlip-3-2-3-RtBlk-LtBlk-2-3-RtBlk-3-2-RtBW-2-3-LtBW-5b-2-3-RtBW-RtArm/Elb-6-3-2-Dip-LtArm/Elb-5-2-3-RtBlk-ShRoll-2-5-6-3-RtBlk-LtBlk-2-3-2-7-LtStep-3-3-2-RtBW-2-3-2-Dip-BkSlip(Pull)-2-Dip-6-5-2-7-LtStep-3-RtBW-LtBW-1-2b-3-4b-6-3 (I stole the 4b-6 combo from Tyson. He knocked out so many with it!! !